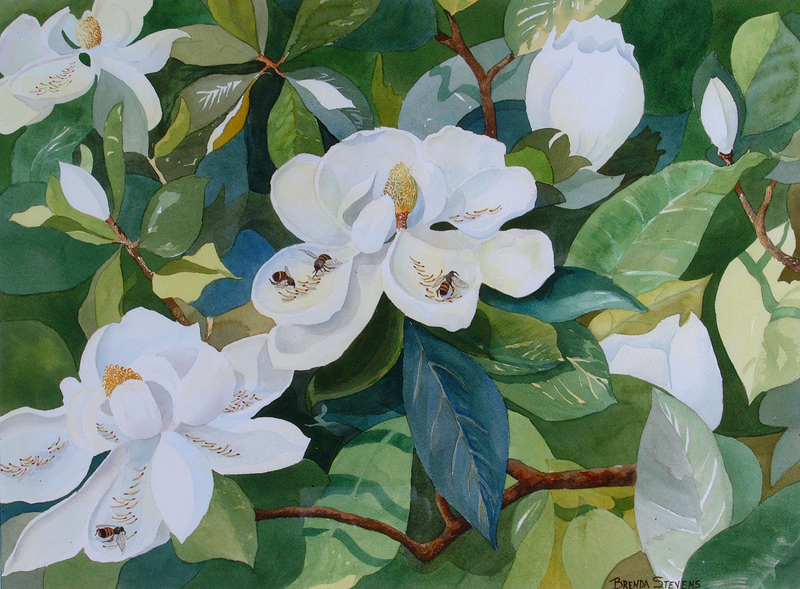 One hot afternoon, I was walking in my neighborhood and heard loud buzzing coming from a row of giant Magnolias. I walked closer to investigate, looked down into the curled petals of large, white blossoms and was surprised to see so many bees in the flower. Their industrious attitude inspired this painting.